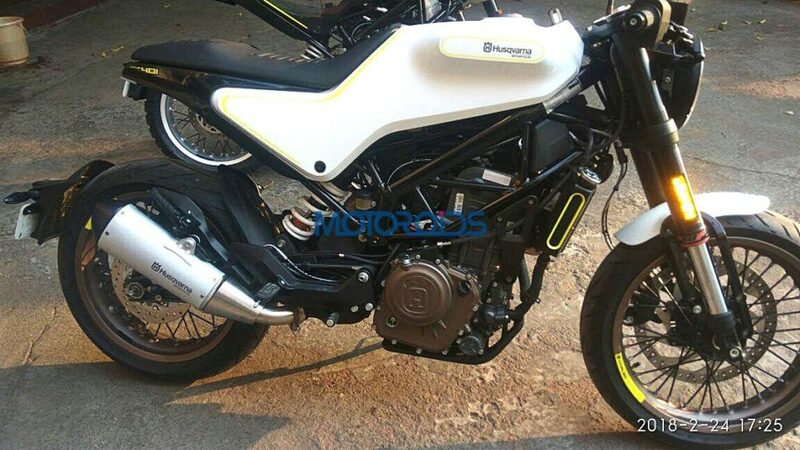 The Husqvarna Vitpilen 401 has been spied up close in India, around Pune. 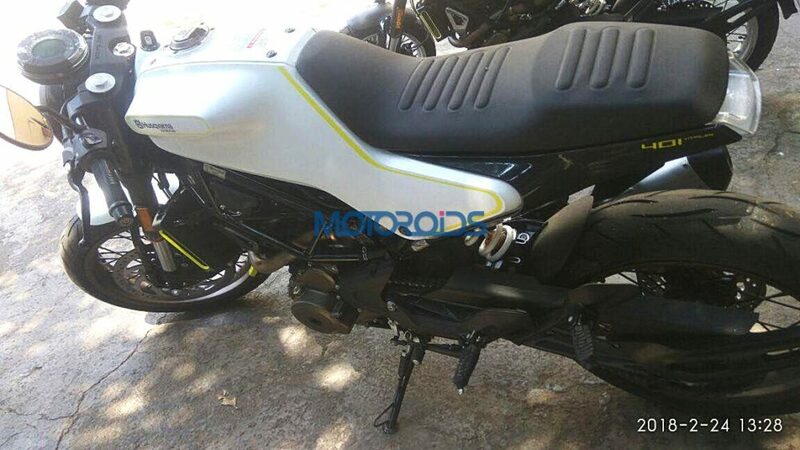 The detailed spy shots give us a fair idea about how the India-spec model will look. The bike has a minimalistic design with good attention-to-detail. Both the Vitpilen 401 and the Svartpilen 401 are based on the KTM 390 Duke. Husqvarna has designed the Vitpilen to give a retro-modern café-racer feel. The key slot is on the sculpted fuel tank, and the single piece seat doubles up as a tank pad as well. The test mule does not feature pillion grab rails nor saree guard. The lighting system is all LED and the circular multifunctional instrument cluster is digital. The clip-on handlebars suggest a sporty riding position. The switchgear seems to be pretty standard, and is similar to the international model. The twins were recently spotted testing in Pune. The India-spec model gets a protective frame under the engine, on which a bash plate can be mounted. The steel trellis frame rides on 43 mm front WP open cartridge upside down fork, and rear WP monoshock. Brakes include 320 mm front and 230 mm rear discs with dual-channel ABS. The spoke wheels have Husqvarna branding and seem to be shod with Metzeler Sportec M5 tyres. The company has designed the single piece seat for optimal comfort while maintaining the sleek look. The 390 Duke-derived 373.2 cc single cylinder mill is good for 43.5 PS of power and 37 Nm of torque. The engine works in conjunction with a 6-speed gearbox with slipper clutch. Expect the same engine tune for the India-spec bikes as well. The bike will command a premium over the Duke, and judging by the spy shots, its India launch could happen sooner than the earlier-reported 2020 launch timeline.